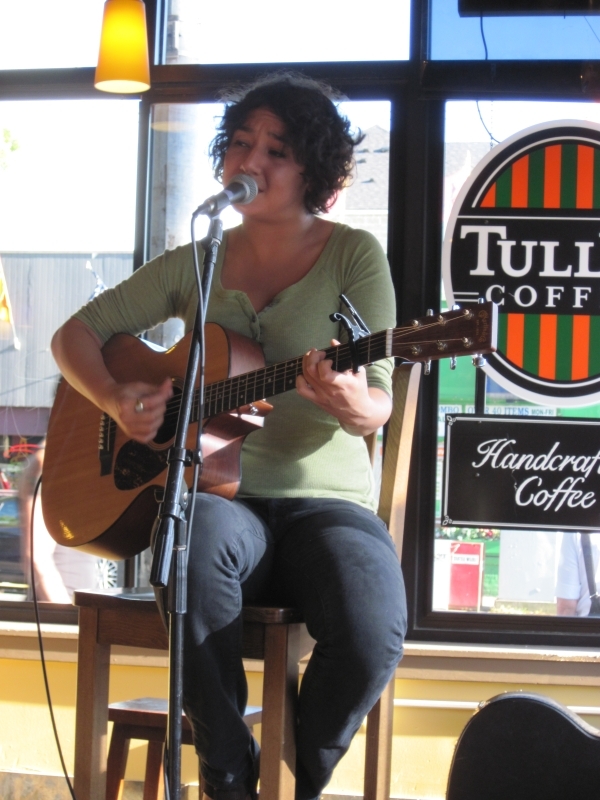 This past weekend was filled with talented performers, great music and delicious coffee. 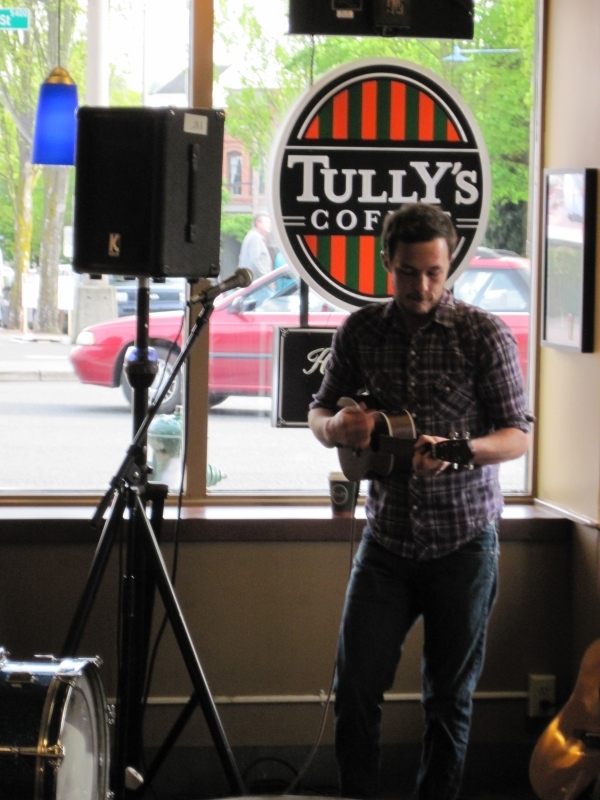 A big thanks to Tully’s for hosting our first ever Folklife Coffeehouse Preview shows in Wallingford and Ballard. 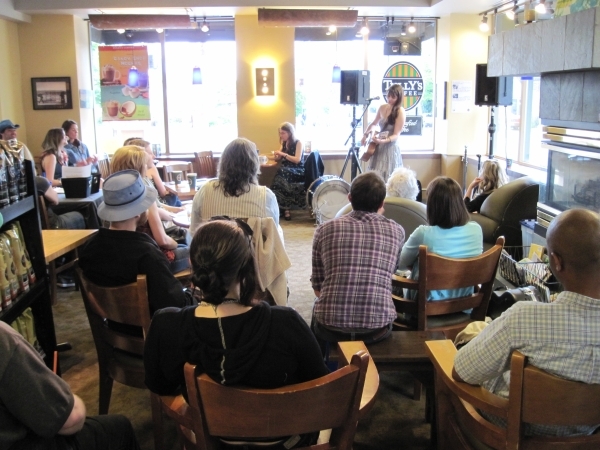 The baristas and staff were amazing, especially as we rearranged furniture to accommodate all of our sound equipment. Another big thanks goes out to Olivia De La Cruz, Sam Russell and the Harborrats, Mark Ward, and Tamara Power-Drutis for performing. The Previews shows were stellar, and we’re looking forward to their Festival performances in a little under two weeks. 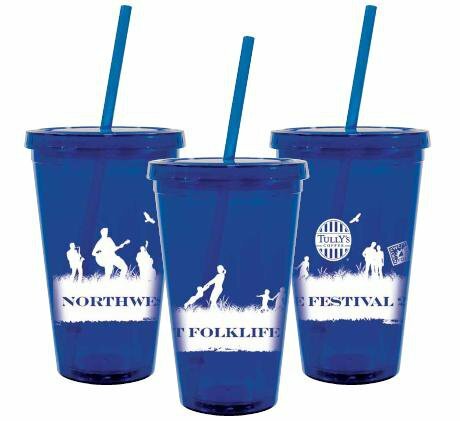 One last note…the Folklife Tumblers moved like hotcakes! If you bought one this past weekend, woo hoo! If you want one, be sure to stop by your local Tully’s and pick one up. For $10, you get the tumbler and a free drink. Plus, $2 of your purchase supports Folklife. Get your tumbler today! 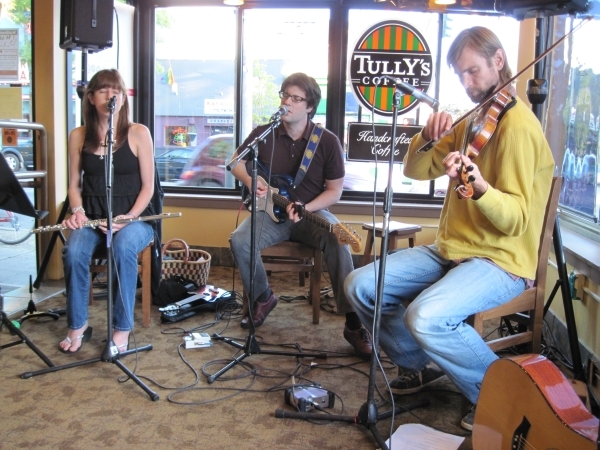 This entry was posted on May 18, 2010 at 7:31 am and is filed under Event, Festival. You can subscribe via RSS 2.0 feed to this post's comments.